I’ve found a great toothpaste for my little Miss Seven, that is not only cruelty-free but also sodium lauryl sulphate, paraben and other nasty chemical free as well. 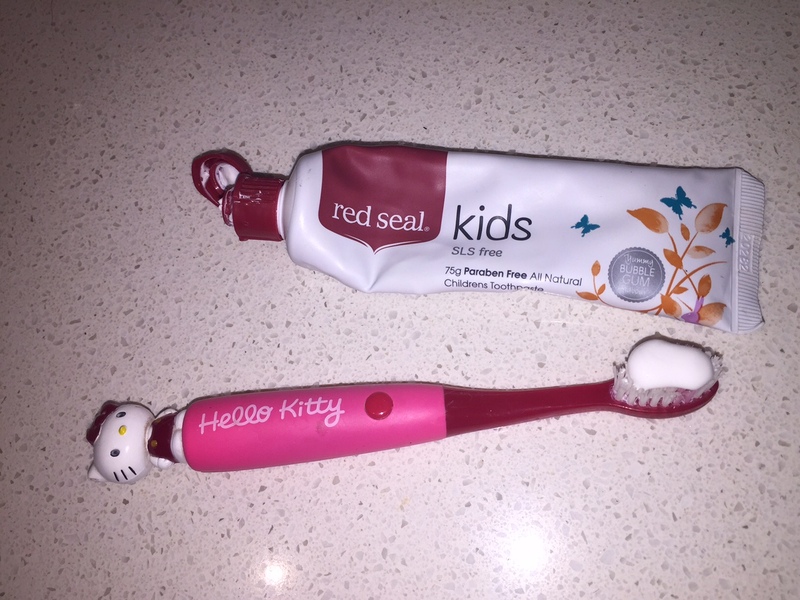 I’ve been using the cruelty-free Red Seal toothpastes for a while (post coming soon), but only recently discovered that they have a kids option as well. Since ‘bubble gum’ flavour is not really my thing (eww!) I thought I’d go straight to the target market and get Miss Seven to review this one for me. Me: What do you think of the flavour of this toothpaste? Miss Seven: I really like it … it tastes fruity. Me: And does it make your teeth sparkly clean? Miss Seven: I think so – but I’ve never really checked. I just brush my teeth and move on. Me: How does you mouth feel when you’ve brushed your teeth? Miss Seven: It feels like minty inside. Me: Anything else you’d say about it? Me: Ok – back to serious questions, why do you think it’s important to only use products that aren’t tested on animals? Miss Seven: Well we have animals, and I don’t think anyone should test on animals. It’s naughty. Me: So the ultimate question – would you buy this toothpaste again? Miss Seven: Probably – but you buy the shopping and make the decisions. So there you have it – insightful journalism at it’s very best. But in all seriousness, this is a great option for a kids toothpaste that is not only cruelty free, but also free from nasty chemicals as well. Red Seal Kids Toothpaste retails for $3.55. While I’ve found that the adult versions of Red Seal toothpaste are available in most supermarkets, I’ve only found the kids version either in health food stores or online.